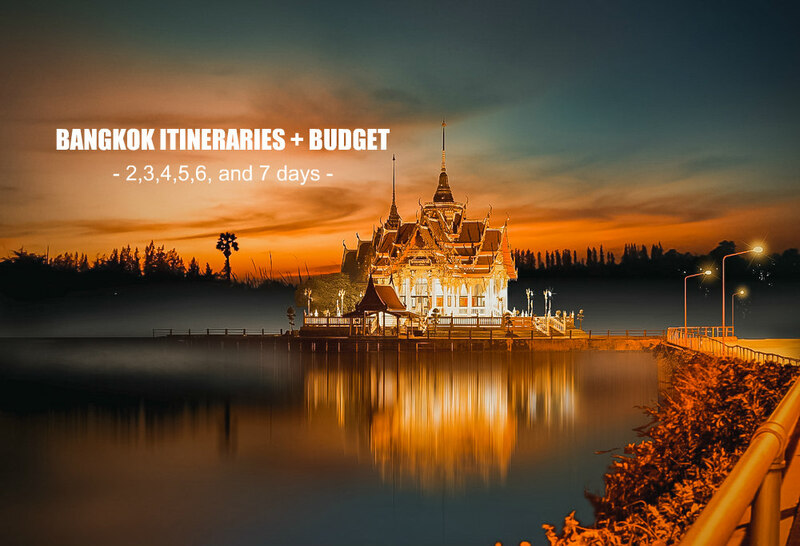 Detailed sample Bangkok itinerary for 2 days,3 days,4 days,5 days,6 days, and 7 days with estimated budget to help you plan your trip. 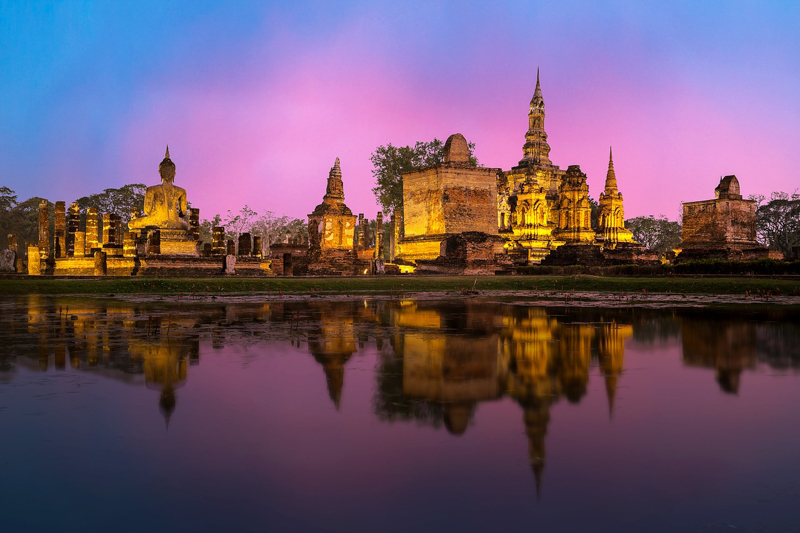 Bangkok is a timeless favorite, a varied surprise, especially for budget travelers. 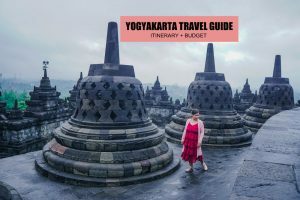 It’s riddled with everything you are looking for in a destination, such as taste bud-tingling street food to hipster budget hotels, backpacker streets to irresistible night markets, and intricate, conventional temples to modern skyscrapers. 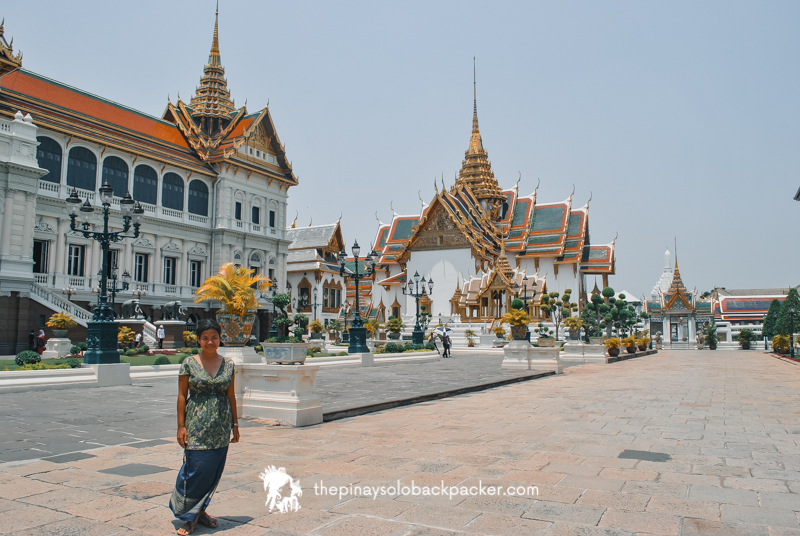 Bangkok is a city with its finger most firmly on the pulse, embracing, among others, chaos, noise, neon, bold design, and fashion. 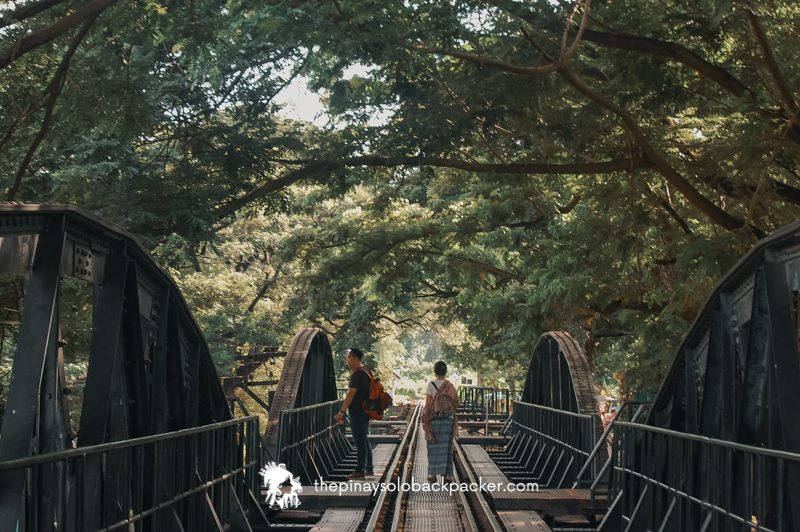 Oftentimes, you may find yourself in the midst of the crowd, yet its distinct character and rich history reveal so much about its cultured spirit that will keep you begging for more. 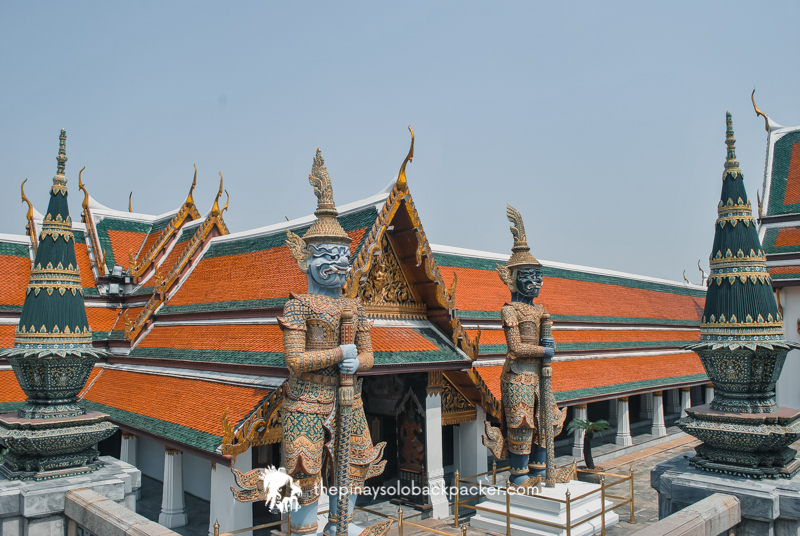 If you plan to travel to Bangkok soon, here’s my blog on sample Bangkok itinerary for 2, 3,4, 5, 6 and 7 days. 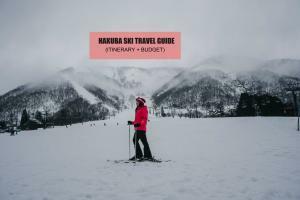 I also included sample budget, so you can start saving for your next trip here. Take note that the sample budget excludes airfare, hotel, shopping, and tips. 11:15 PM Hotel check-in. Freshen up. 09:35 PM Take BTS Skytrain to Sala Daeng Station (S2), (Line to National Stadium). 10:05 PM Walk to hotel. 07:00 AM Walk to (S2) Sala Daeng BTS Station. 2.Alight at Siam Station. 3 minutes. 3.Switch to BTS train to Mochit (N8)(Yellow Green Line). 4.Get off at Victory Monument (N3). 6 minutes. 07:30 AM Meet up at Century Mall (beside Victory Monument Station). 10:00 AM Arrival at Damnoen Saduak Floating Market. 11:00 AM Explore Floating Market (free time). 03:00 PM Arrival at King Power. Shopping. 04:00 PM Walk to Victory Monument Station. About 100 meters. 4.Alight at Sala Daeng (S2). 04:30 PM Walk to hotel. 05:15 PM Walk to MTR Silom. 05:35 PM Walk to Makassan Station. 10:50 PM Flight back home. 07:30 AM Walk to (S2) Sala Daeng BTS Station. 11:10 AM Arrival at Pattaya Pier. Speedboat to Koh Larn. 11:30 AM Arrival at Koh Larn. Free time. Swimming, snorkeling, etc. 03:30 PM Speedboat to Pattaya Pier. 04:00 PM Arrival at Pattaya Pier. Depart for Bangkok. 06:30 PM Arrival at Century Mall. 07:15 PM Walk to hotel. 07:45 PM Walk to MTR Silom. 08:15 PM Walk to Makassan Station. 08:00 PM End of tour. Arrival at Victory Monument. 08:15 PM Walk to (N3) Victory Monument Station. 1.Ride BTS to Samrong (Yellow Green Line). 2.Get off at Siam. 6 minutes. 4. Alight at (S2) Sala Daeng Station. 3 minutes. 09:15 PM Walk to hotel. 08:00 AM Walk to Sala Daeng Station (S2). 1.Ride BTS to National Stadium. 2.Switch to BTS to Mochit Station. 3.Alight in Siam. 3 minutes. 4.Switch to BTS to Samrong. 5. Get off at Samrong Station. 27 minutes. 08:50 AM Exit Samrong Station. 2.Alight in Siam Station. 25 minutes. 3.Switch to BTS to Bang Wa. 4.Get off at Sala Daeng Station (S2). 3 minutes. 04:00 PM Walk to hotel. 04:30 PM Hotel check out. 04:45 PM Walk to MTR Silom. 05:15 PM Walk to Makassan Station. 05:45 PM Arrival at Suvarnabhumi (Bangkok Airport). 4.Alight at (S2) Sala Daeng Station. 3 minutes. 09:30 AM Walk to Sala Daeng Station (S2). 09:50 AM Alight at Siam Station. 12:30 PM Walk to Siam Square One Building, 1st Floor. 03:00 PM Walk back to BTS Siam Station. 03:20 PM Walk to MRT Sukhumvit (Blue Line). 03:50 PM Alight at Thailand Cultural Centre Station. 03:55 PM Walk to Esplanade Shopping Mall. 4th Floor. 5.Get off at Samrong Station. 27 minutes. 06:45 PM Ride BTS to Samrong. 06:55 PM Switch to Airport Link (Red Line) to Suvarnabhumi. 07:05 PM Walk to MTR Petchaburi. 07:45 PM Exit station and walk to Ratchada Train Market. 09:00 PM Walk to MTR Thailand Cultural Centre Station. 1.Take MTR to National Stadium. 3.Switch to BTS to Mo Chit. 4.Get off at Victory Monument Station. 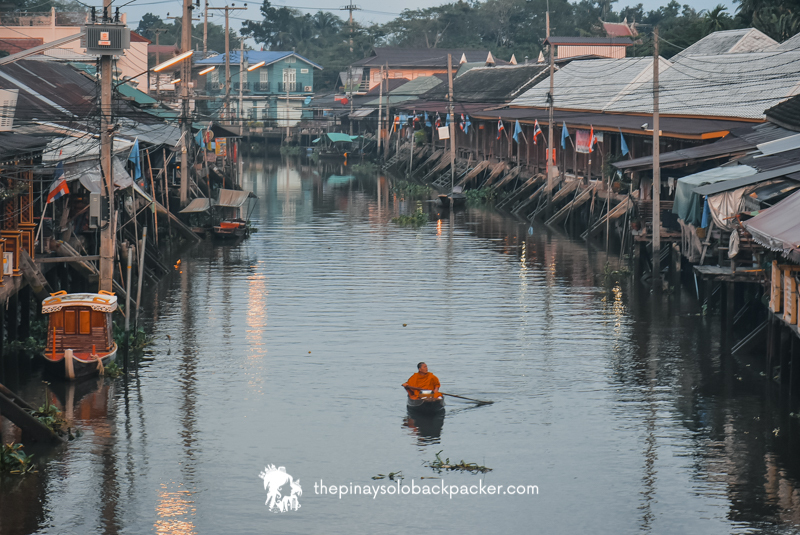 04:20 PM Amphawa Floating Market. Free time. 11:50 PM Walk to hotel. 3.Switch to BTS to Bang Wa (Dark Green Line)4. 08:15 PM Walk to hotel. 08:40 AM Alight at Siam Station. 08:45 AM Walk to Siam Paragon Mall, Gate 1 Ground Floor. 10:00 PM Alight at Sala Daeng Station. 08:15 PM – Walk to hotel.